Ginger modern fold out sofa bed, available in single, XL single, French double and double models. High resilience polyurethane mattress. 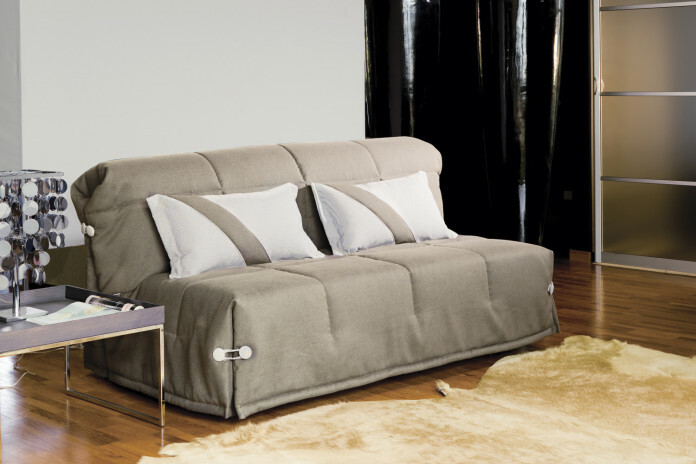 Ginger by Milano Bedding is a fold out sofa bed available in single, XL single, French double and double models. 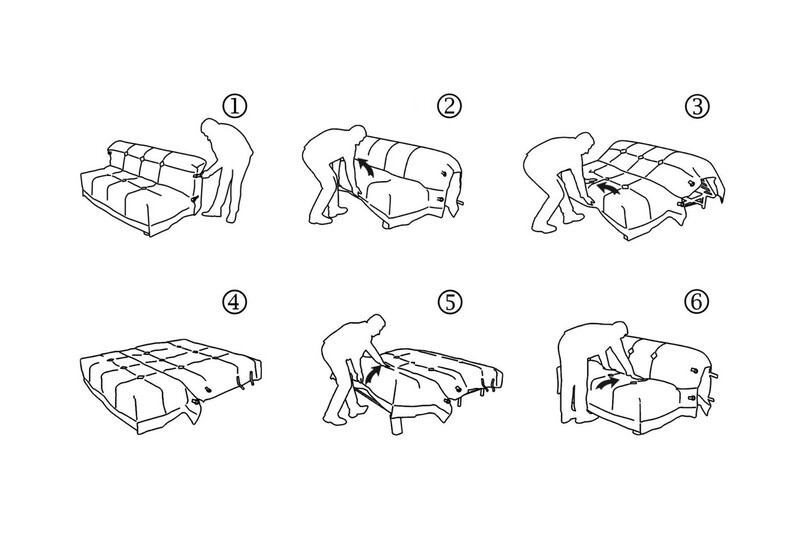 Its frontal opening is a quick and easy process: to extend the bed base you only have to untie the decorative buttons laces, and pull the seat toward yourself, lifting it a bit from the floor. 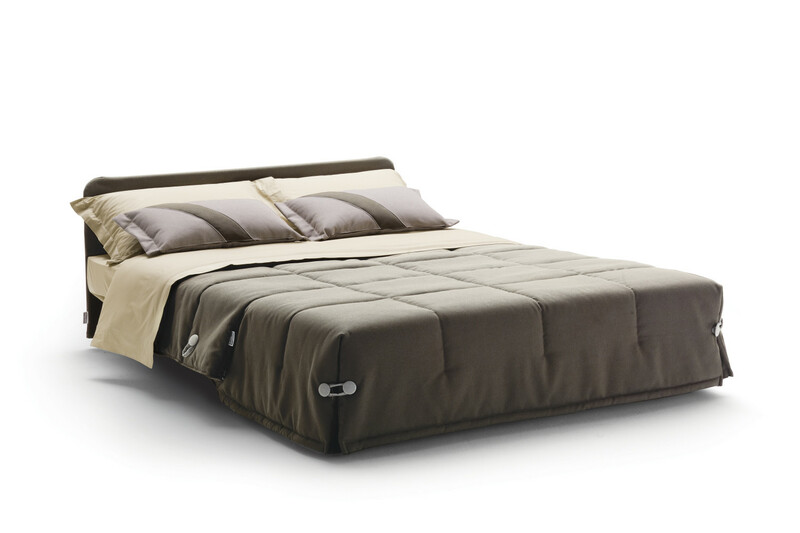 The high resilience mattress guarantees a high comfort level, with great support performances. A folding bed is the ideal solution to furnish small environments, such as vacation homes, guest rooms and studio flats. Its ease of use, fast opening and closing system, make Ginger the ideal item for young and casual houses, or to make your guests as comfortable as possible, both at home or in vacation houses. Unlike other folding sofa beds, Ginger can be equipped with a backrest, a useful element that when the bed is open turns into a headboard. Ginger is equipped with a standard HR 30 high resilience expanded polyurethane (density: 30 kg/m³) mattress with removable cover, with an height of 11 cm. High resilience polyurethane provides a great support, an essential characteristic to guarantee a good comfort level also to sofas that are not frequently used. 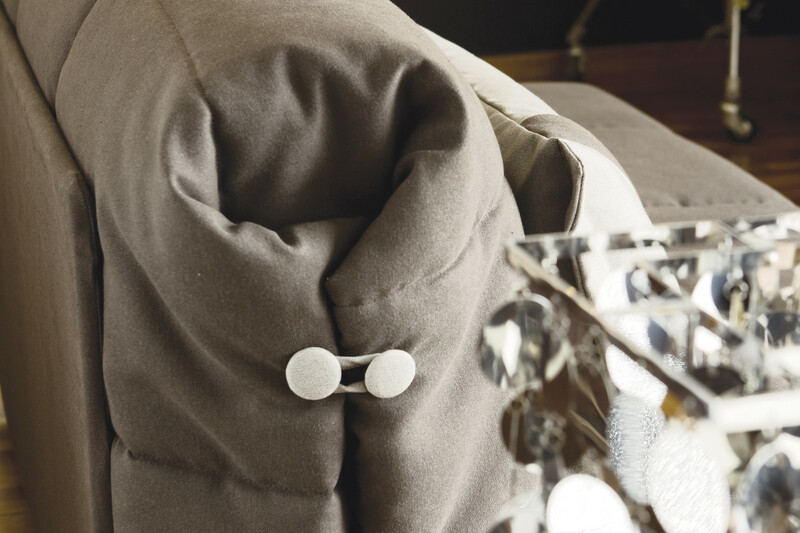 Ginger can be equipped with a firm backrest covered with removable fabric. Once opened, the backrest turns into the bed headboard. The twin 3-seater model cannot be equipped with the backrest. The folding bed can be completed with a pair of cm 65 x 35 decorative lumbar cushions in solid colours or with a diagonal stripe in a different colour. 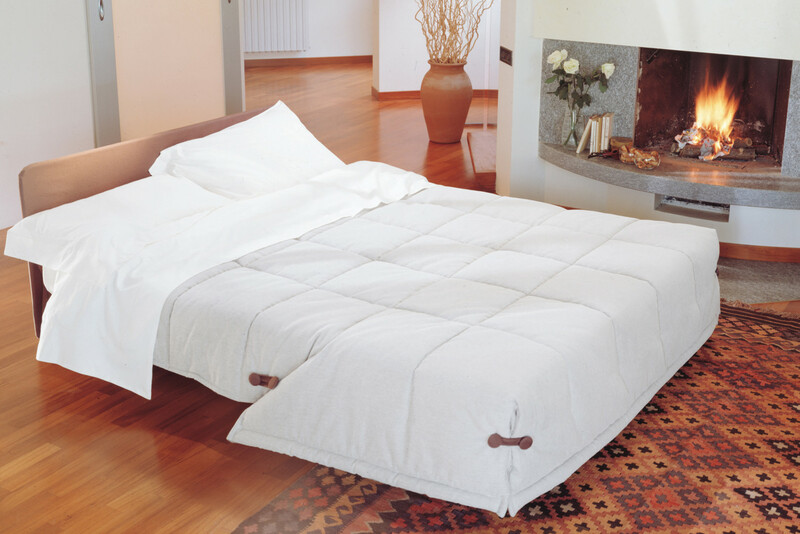 Mattress: 30 Kg/m³ HR (high resilience) micro-cellular cold foam; removable cover in ecru 100% cotton fabric quilted with 200 gr/m² resin polyester wadding. 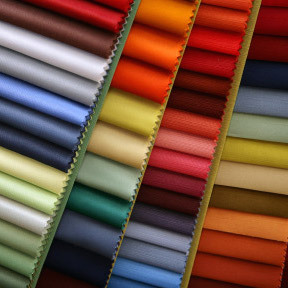 Padding: 300 gr/m² silicone polyester wadding.